Mattel, Inc. designs, manufactures, and markets a range of toy products around the world. Headquartered in El Segundo, CA and headed by Ynon Kreiz, the company's segments are North America, which consists of the United States and Canada; International, and American Girl. Founded by Elliot Handler, Ruth Handler and Harold Matson as a family-owned business in 1945, it has grown to become a premium global leader in the industry. Currently, it employs approximately 31,000 people in 40 countries and sells its products in more than 150 nations. 1. Product Safety issues: Safety of the products offered by Mattel, worldwide, is of the prime importance to the company as the products are to be used by small children. Stringent safety measures and high-quality checks have to be done to make sure products do not cause any injuries or harm children. Many products of Mattel like Barbie dolls, Hot Wheels cars or Sarge cars etc. are made in China as it offers low-cost manufacturing and labour. The safety of these products has proved to be a big concern and a threat for Mattel operations. This is because of the past instances in which products received and distributed by the company were found to have lead tainted or had dangerous magnets in it. The magnets posed a threat of choking when swallowed by small children. As a result of such harmful products which were already out in the market, the company had to recall its 19 million toys sent from China in 2007. 2. High seasonality of business: The sales of the toy industry are highly influenced by the time of the year especially by the holiday season. Thus, a large percentage of all the toy purchases at Mattel too occur during the traditional holiday season. This seasonality is its weakness because it creates the problem of managing raw material inventory at manufacturing side as well as finished goods inventory at supplier or retailer side. 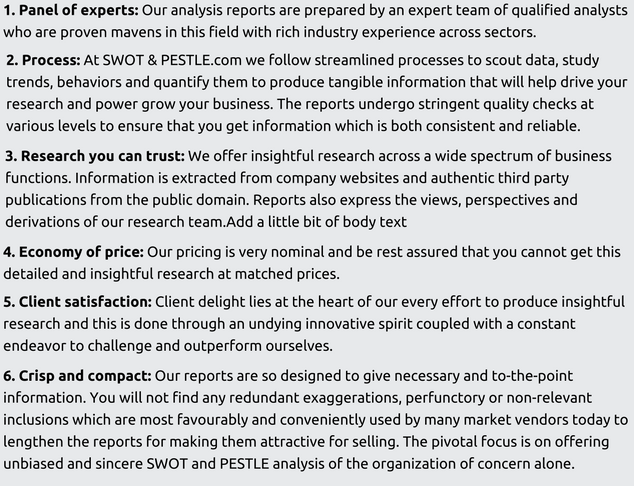 The company may not be able to meet the demand for certain products at peak demand times because of inaccurate anticipation of demand and thus under producing. It may also anticipate heavy retail sales in the traditional holiday season and significantly increase its production in advance of the peak selling period, resulting in a corresponding build-up of inventory levels which may not be sold in the season. These fluctuations may cause its sales to vary significantly from period to period, increase the lead time and create the problem of requiring seasonal working capital financing. 3. Heavy long-term debt: One of the major and primary sources of liquidity for Mattel is its Long-term debt, along with short-term borrowings and senior secured revolving credit facilities. Along with lower stockholders’ equity, the prime reason for increase in Mattel’s debt-to-total capital ratio from 49.1% at December 31, 2016 to 71.3% at December 31, 2017, including short-term borrowings and the current portion of long-term debt was higher long-term borrowings. Mattel’s total long-term debt is $ 2,873,119 as of December 31, 2017. Having high long-term debt is a weakness for the company because repayment of the debts is dependent on the company operations which are affected by external factors which are not in the company’s control. Factors such as decreased in demand for Mattel’s products, changes in consumer preferences, increased costs associated with manufacturing and distribution of products, shortages in raw materials or component parts, or global economic crisis could adversely affect operations of Mattel and thereby make repayments of heavy long-term debt difficult. 1. Popularity of digital technology in gaming sector: In the digital age that we live in today, Mattel, Inc. is still majorly involved in manufacturing traditional toys. Technological advancements in fields of digital gaming has entirely revolutionized the way children play. Today, for a toy company to be competent, it has to leverage on these advancements and be available on various platforms like smartphones, tablets etc which are increasingly growing in popularity among children. Although Mattel has started to increase its online presence through its play.barbie.com for barbie games, e-commerce site (shop.mattel.com) to sell its merchandise, mattelgames.com to feature variety of merchandise and sell through platforms like Amazon, Mattel Shop, Target and Walmart; engaging YouTube videos, social media posts and brand recollection attempts, these are still in nascent stage and has a long way to go. Nonetheless, falling share prices and consistent losses in bottom line over last few years can be attributed to the slow embracing of digital technology. 2. Risks associated with technology products: Most of Mattel’s revenue is generated through its traditional line of offerings but with the advent of new and sophisticated digital and smart technology products it faces risk of being technologically obsolete. As Mattel is not traditionally involved in these advanced toys, there are huge costs associated with designing, developing and producing such products. It is also faced with huge competition from other players in this consumer electronics and entertainment products domain which puts it into risk of not being able to produce competent products and thus not achieving sales sufficient to recover its costs. Additionally, Mattel would also require considerable amount of time to design and develop these products from scratch as it is not its core competency. Requiring more time compared to its traditional line or its competitors may result in losing onto other opportunities. The pace with which technology is moving forward and the changes in consumer tastes regarding video games, consumer electronics and social and digital media areas is high making technology one of the most important factors to affect business. 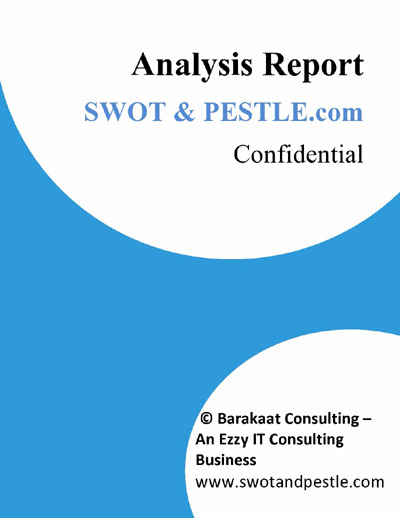 Mattel SWOT and PESTLE analysis has been conducted by Aishwarya Tirthgirikar and reviewed by senior analysts from Barakaat Consulting. 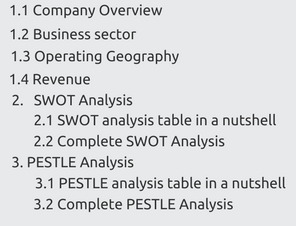 Copyright of Mattel SWOT and PESTLE Analysis is the property of Barakaat Consulting. Please refer to the Terms and Conditions and Disclaimer for usage guidelines.